A do-it-yourself panel discussion, club night and workshops inviting Goldsmiths students to address London’s currently challenging nightlife environment and apply and develop their own creative skills to curate their own club night in collaboration with Stevie Wonderland. British nightlife is under threat. Increasingly strict licensing laws, rising property prices, new housing too close to existing venues, and a lack of understanding about the benefits of night culture have all played their part in eroding our nightlife. In the last decade, London has lost 40% of its music venues and 50% of its nightclubs. Recent campaigns have done a fantastic job in highlighting the increasingly worrying state of nighttime culture in London: from the Save Fabric campaign, to the introduction of a Night Mayor for London and coverage across major news outlets, people are beginning to take the initiative to address the situation and tackle the problem. Stevie Wonderland teamed up with Goldsmiths University to present DIY Club - a series of events aimed to inform, inspire and give you the tools and support to go out and put on your own event that will help keep London’s nightlife alive. The program of events kicked off with a panel discussion involving key members of London’s clubbing community coming together to discuss how to keep London’s nightlife alive. This was followed by a series of hackathon-style masterclasses with industry experts aimed at developing creative skills and putting them to practical use in a real life club environment. 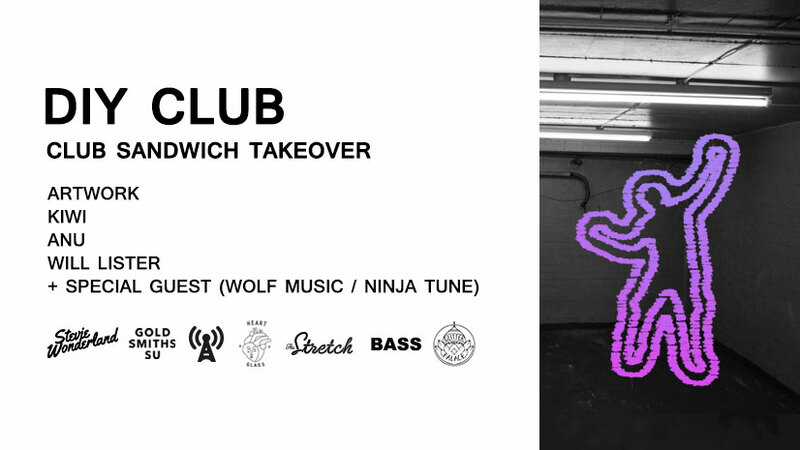 The following week, Stevie Wonderland and Goldsmiths SU co-curate a ‘DIY’ Club Sandwich takeover. We invited participants to join our DIY Club community where they were on hand to guide you through the next steps in starting your own club night.